With a brand-new season of The Voice causing all kinds of buzz, people seem to be searching for the best covers of their favorite hit songs. With video sharing outlets like YouTube, covering a classic tune and sharing it online has become a trend among today’s emerging artists. If you think about it, many of today’s biggest stars got their start by being recognized for singing someone else’s tune. But anyone can cover someone else’s music; the trick is covering it well. It’s also important to bring something fresh and new to the song, and the artists on this list have done just that. Whether it’s changing the composition, altering the harmonies, or using different instruments to play the music, these artists have taken hit favorites and truly made them their own. We’ve compiled a list of the 10 best YouTube covers you need to check out, and information on the impressive artists behind them. Don’t be surprised if you see any of these artists shoot their way to super stardom after letting their talents shine through other people’s music! Born Sofia Amanda Karlberg Zoubir, this 21-year-old singer songwriter is catching the attention of the masses with her YouTube channel. Her “Crazy in Love” cover got her a crazy following, especially with it landing among the Top 55 on the UK Official Singles and Hot 40 UK charts. Her best cover, in our opinion, is her take on Hozier’s “Take Me to Church” —which the producers of Empire must agree with, as it was featured in the teaser trailer for season three. Gaining popularity by the minute, Andie Case is one cover artist to look out for, and she’s already releasing her own brand of music, as well! Personality mixed with brains, beauty, and talent, Andie Case has been turning heads with her impressive covers for a while now, and she shows no signs of slowing down. Constantly showcasing her talent online, Andie Case has already amassed a following of more than 1.0 million. Among her many takes on some of today’s hottest hits, it was Andie Case’s version of Justin Bieber’s “Sorry” that caught our attention. Love him or hate him, there’s no denying that her cover of The Biebs’ smash hit is one of Andie’s best. Check out her YouTube channel to check out all the other covers this talented beauty has posted. If you haven’t seen the Madison Beer and Connor Maynard cover sing-off, then you need to check it out now! These two battle it out via cover songs and continue to impress their legions of fans with each rendition. It helps that they both have top-notch voices and the way they’ve combined all these popular hits into a ping-pong match of covers, will simply blow your mind! Another cover that made our list is by Haley Reinhart when she was featured as an artist on Postmodern Jukebox’s channel. By putting an old-time classic jazz feel to this new-age Nirvana smash, Haley Reinhart has made us fall in love with this ‘90s grunge hit all over again! Her riffs are spectacular and unexpected, and the arrangement of the song is completely turned on its head -but in the best way possible! 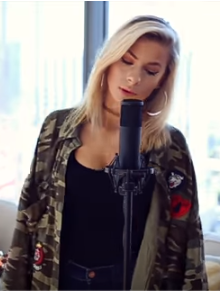 You got to check out her cover of “Creep” and get ready to be wowed by what has been done to this song! Another favorite to land itself on our list is an original song from The Hunger Games series. 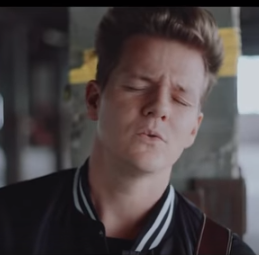 “The Hanging Tree” was the song in the movie originally sung by Katniss s to her little sister, but Tyler Ward’s version is so fresh and soothing, we couldn’t turn it off! With the help of a female vocalist, Tyler Ward takes this popular Hunger Games melody and injects it with his own eerily creepy yet pleasurable style. 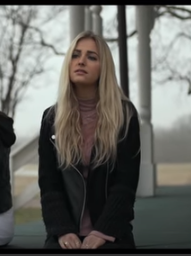 While we only hear clips of the original in the hit movies, this sultry and slow cover of “Hanging Tree” will make you want to watch it on repeat! And it’s not the only cover to look out for from Tyler Ward; the man is a cover genius so be sure to check out his other popular videos! When beauty meets ballad, the result is Louisa Wendorff. 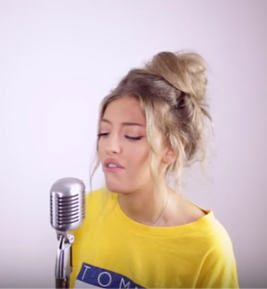 Though she’s posted a catalogue of awe-inspiring cover songs, no one does a mash-up quite like Louisa! She has a knack for infusing some our favorite hit tracks together to create a new way to enjoy classic (and current) hits. It’s something that makes her different from the rest and it’s likely what draws in her hundreds of thousands of subscribers. Her “Blank Space/Style” mash-up is what landed her on our list as she impressively took two of T. Swift’s biggest hits and combined them into one, making this duet one to remember. It’s kind of impossible not to fall in love with Sam Tsui, nevermind the fact that his voice is simply mesmerizing. His recent cover of Niall Horan’s “Slow Hands” is what caught our attention and landed him on our list. With over 2.0 million followers, it’s easy to see why people are flocking to his YouTube channel to check out the many other hit covers he’s already uploaded. 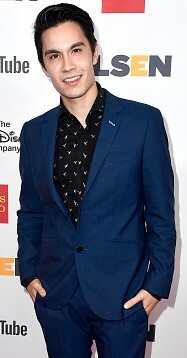 Though he often collaborates with different artists, he frequently joins forces with fellow famous YouTuber, Kurt Schneider. Together, the two of them take hit songs and inject them with a style all their own. We’re sure you’ve seen or at least heard of this sensational group, as they went viral after posting a cover of Gotye’s “Somebody That I Used to Know.” What made this cover catch the eye of the masses, was the fact that these guys all played the song on one guitar! They dubbed it, “5 Peeps, 1 Guitar” where they each had a separate role in the song surrounding the solo instrument. People were so impressed, the group landed themselves on The Ellen Show to perform their hit cover, live! But that’s not the only cover they’ve mastered and uniquely made their own; from Ed Sheeran to Adele to classics from the late Tom Petty, these guys have a style all their own and fans can’t get enough of their spins on hit faves! You need to check these guys out immediately! This young, beautiful singer-songwriter’s talent hit us like a ton of bricks. She likes to take popular pop songs and turn them into beautiful piano ballads, and in covering these fan-favorite songs, Madilyn Bailey has made a name for herself among YouTube’s finest. She’s released a couple of cover albums and now, she’s working on her own original material. She began writing music at the age of seven, and since the launch of her popular YouTube channel where she became known for her incredible covers, she’s reached a following of over 4.4 million! Her rendition of Sia’s hit, “Titanium” will leave you shocked with what she’s done to the catchy dance track. She’s slowed it right down and using only a piano and her stunning vocals, she turned this club banger into one of the most beautiful ballads we’ve ever heard. Check out her channel and see what all the Bailey buzz is about! If you’re into seeking out the best versions of cover songs, there’s no doubt Boyce Avenue popped up in your search. As the “most viewed independent group in the world,” it would be more surprising if they didn’t! When it comes to covers, these guys don’t fail to deliver, as the creativity within this group is overflowing. They’re constantly working with new artists to create their own unique versions of hit songs and they’ve created a massive following in doing so. 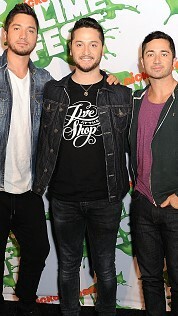 The boys behind Boyce Avenue are brothers, Alejandro Luis Manzano, Daniel Enrique Manzano, and Fabian Rafael Manzano. 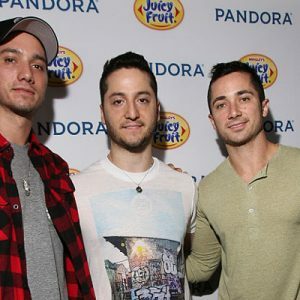 Since starting their own YouTube channel and posting impressive cover songs, Boyce Avenue has grown into an online powerhouse, with emerging artists hoping to get the chance to work with this talented group. They’ve already got the chance to work with many of today’s budding music stars and actors, including Sarah Hyland of Modern Family. Our favorite? Boyce Avenue’s version of an all-time classic, Tracy Chapman’s “Fast Car,” featuring Kina Grannis. Chills.